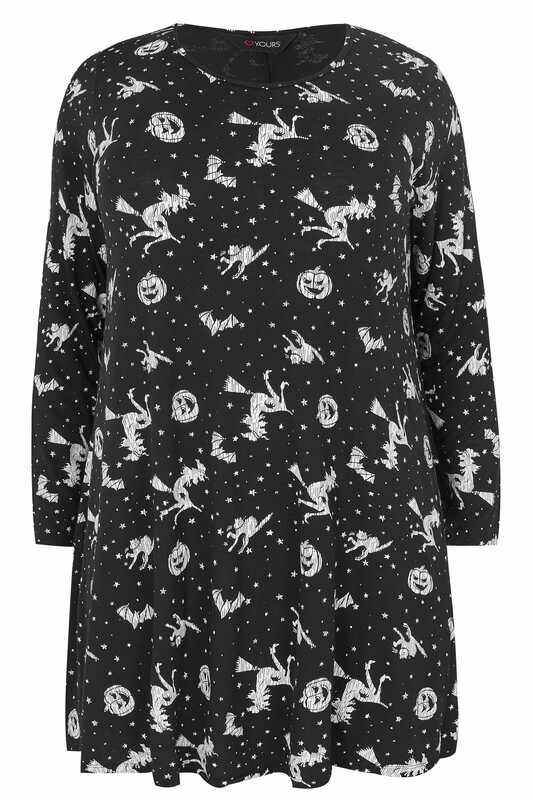 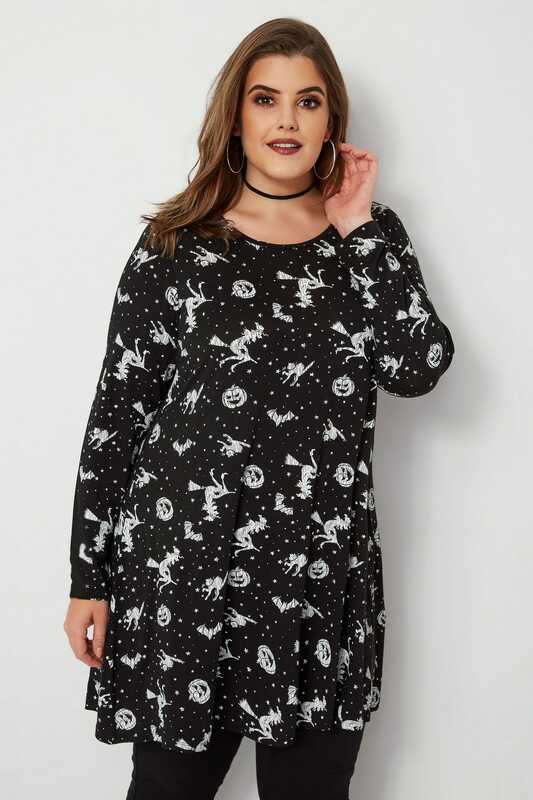 Give your wardrobe a spooky update with this Halloween inspired top. 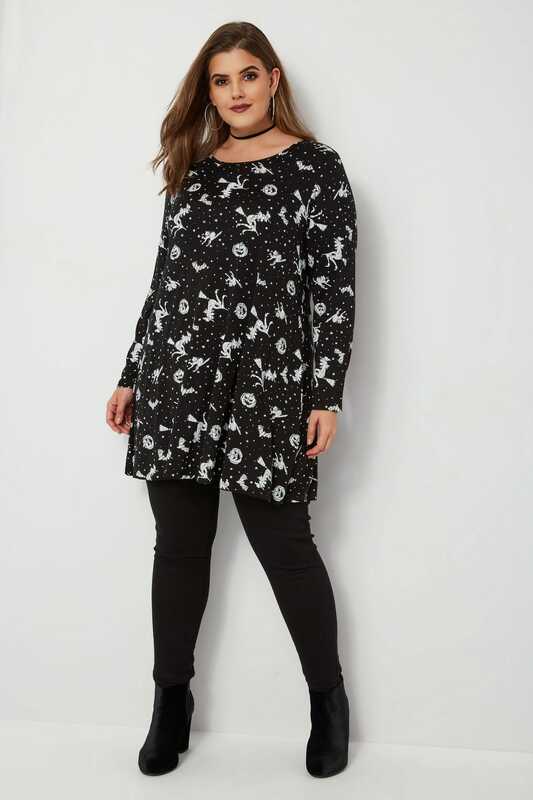 Flattering in a swing shape, it features a simple scooped neckline and long sleeves. 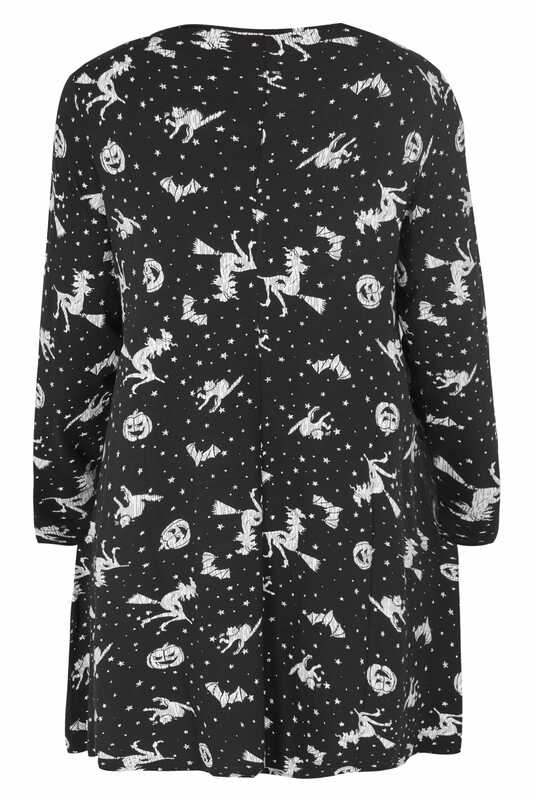 For a frightfully fashionable look, wear over black leggings and knee-high boots. 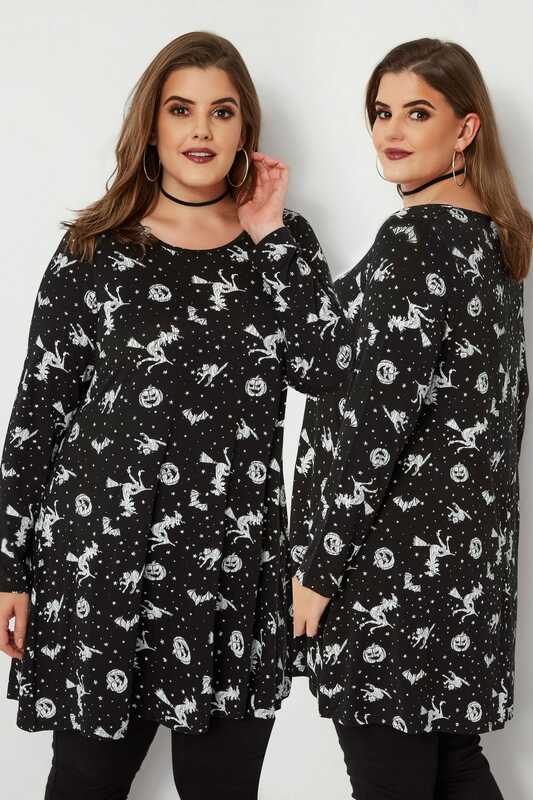 It's so good, it's scary.